There are a couple of other things that we got her; some blocks and a puzzle from the charity shop, and this tea set (she much prefers a real mug) that just aren’t getting much love at the moment. I’ll be rotating these out for a while, but below are all gifts that are well loved in this house, and hopefully inspiration if needed. 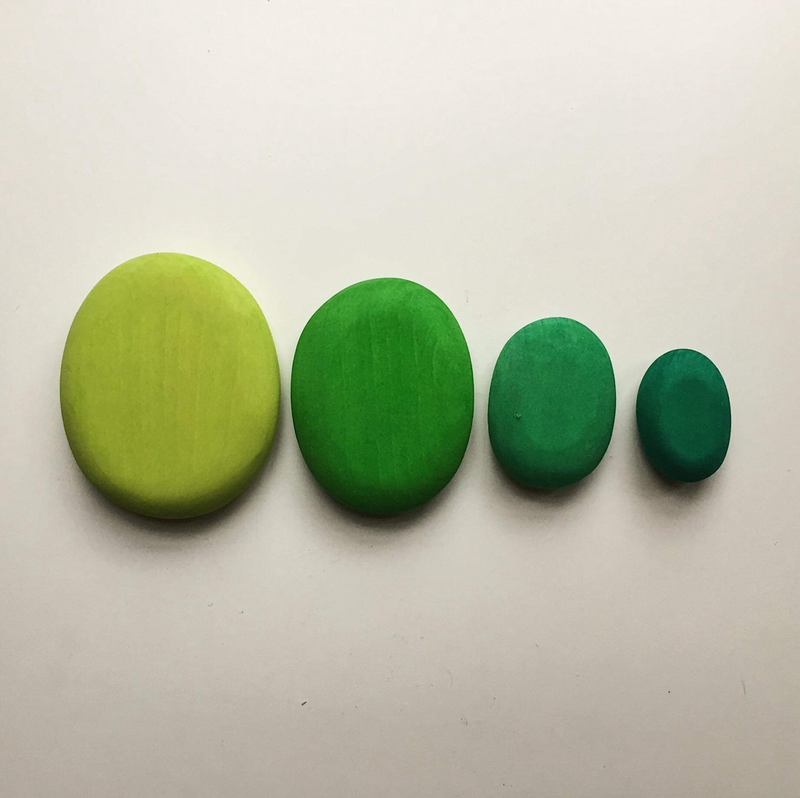 Perfect for her current need for stacking, holding in little hands as she totters around in the house, and feeding to her animals, these Grimms pebbles also look good on our seasonal shelf too. This pentatonic glockenspiel from Ostheimer was an update on the wooden xylophone she had last Christmas, which just wasn’t hitting the spot for her, always her go to when we come downstairs in the morning. And the triangle was the biggest hit of Christmas morning. We added a few more animals to her beloved Holztiger collection, which served as great stocking fillers. The stag is her current favourite, and she is starting to pick some of them up and make them mo/baa/growl. We only bought her one book, and decided on A First Book of Animals as we felt it would be well read for a while. So far she loves flicking through and pointing, and we sit with the book and her basket of animals for a slow morning time activity. This Grapat set gets used daily, usually putting the people in and out of the cups, and I’m looking forward to seeing what she does with the rings and coins as she grows. 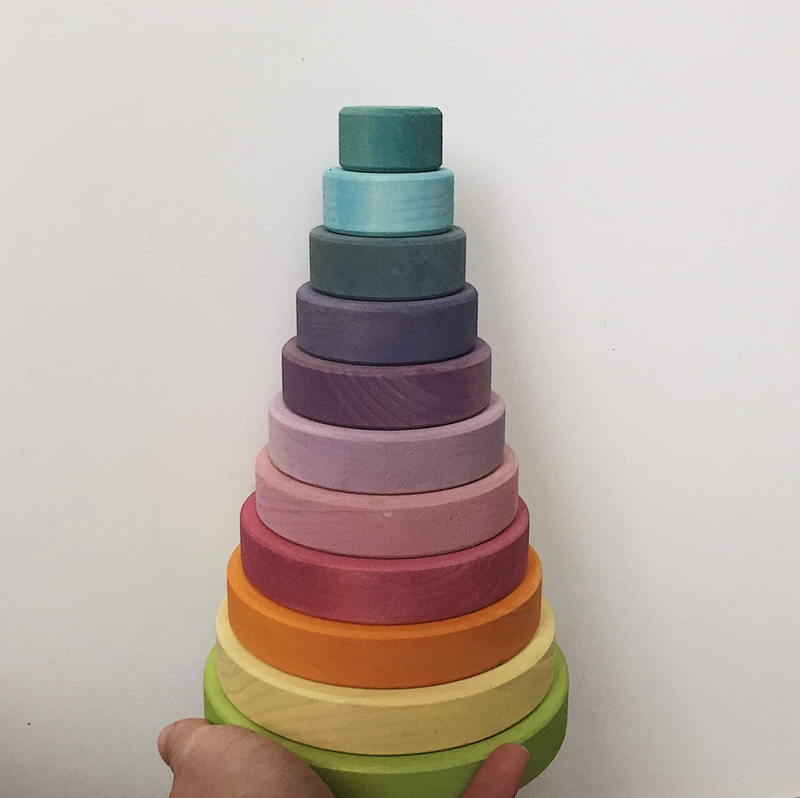 And lastly the Grimms pastel stacker, perfect for practicing using both hands to steady. You can use the code WINTERAS for 10% off at Little Acorns to Mighty Oaks for some of the toys listed here, and the many more on site. This post is not sponsored or paid for by them, but I received a discount for any toys purchased from them here in return for providing posts on Instagram. This blog post, however, was written just because I fancied it.